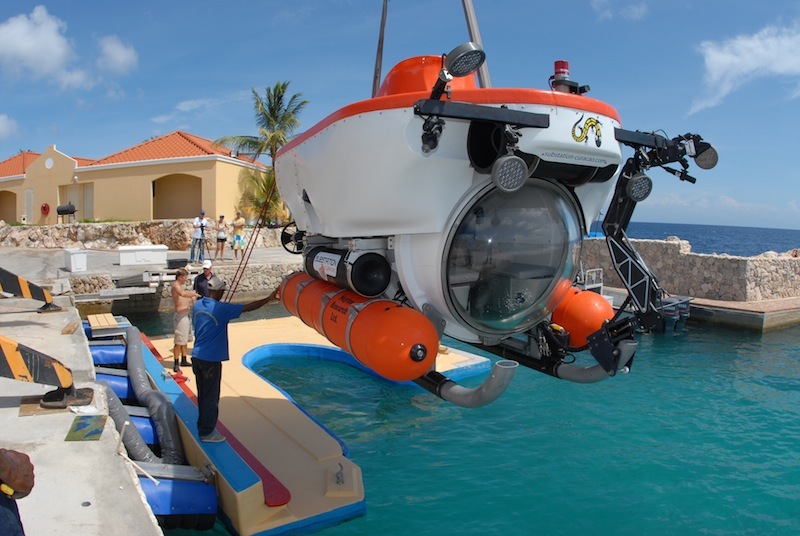 Curasub - Nuytco Research Ltd. 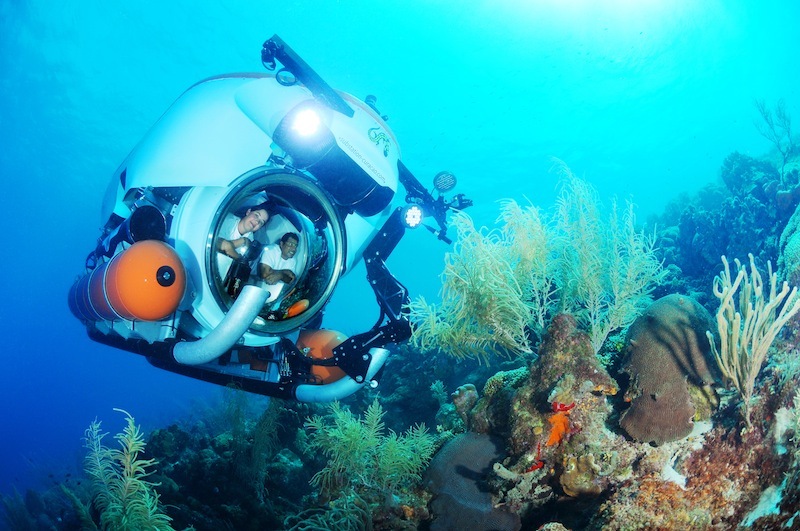 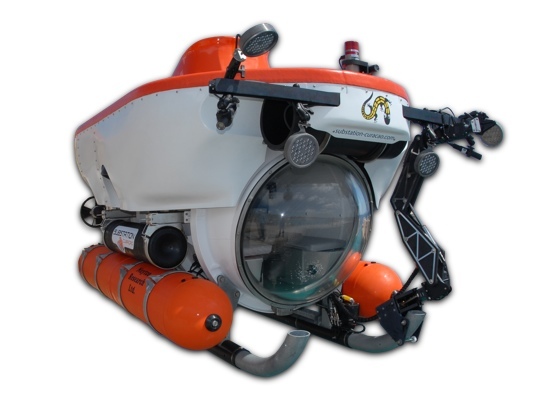 The five-person, 1000’ (300m) depth-rated Curasub offers state-of-the-art viewing and functional ability together in one platform. 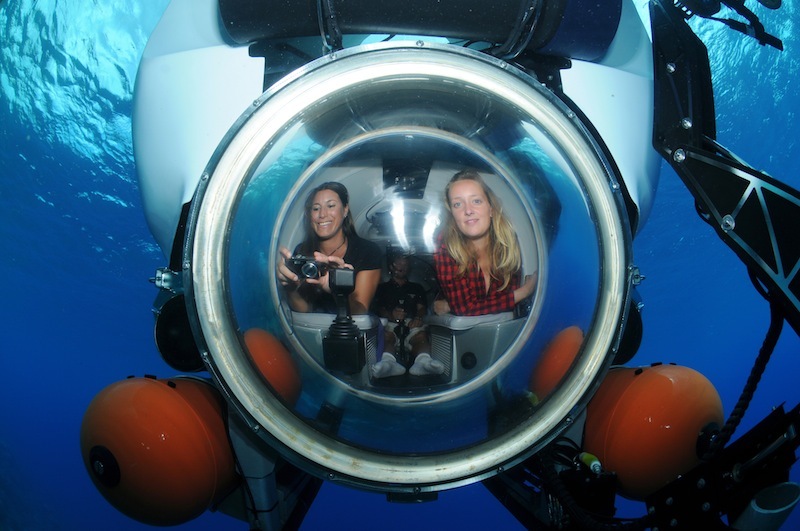 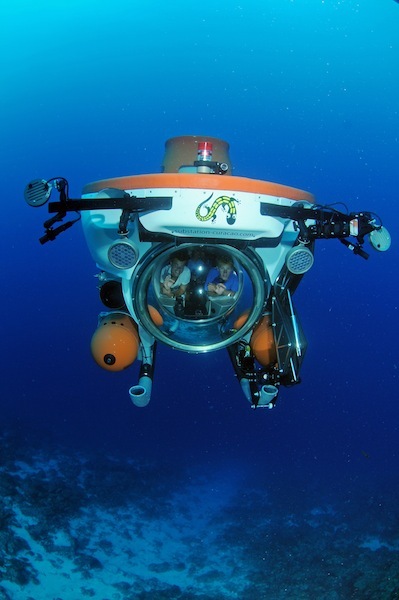 Three large viewing domes, one 40” dome forward and two 18” aft, make Curasub ideal for tourist applications, scientific research, commercial surveys and filming. 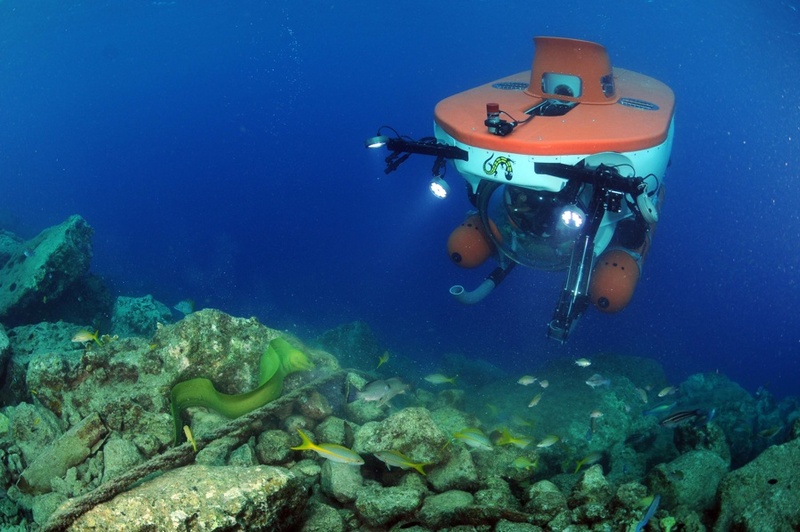 A six-function hydraulic manipulator, scientific sampling arrays, Doppler Velocity Logger and HD camera/video system with adaptable lighting array are among the many options available.